COTIC : news : Demo was ace! The first 2015 Calver Demo went off brilliantly on Saturday with blue skies, dusty trails, great bikes and lovely people. 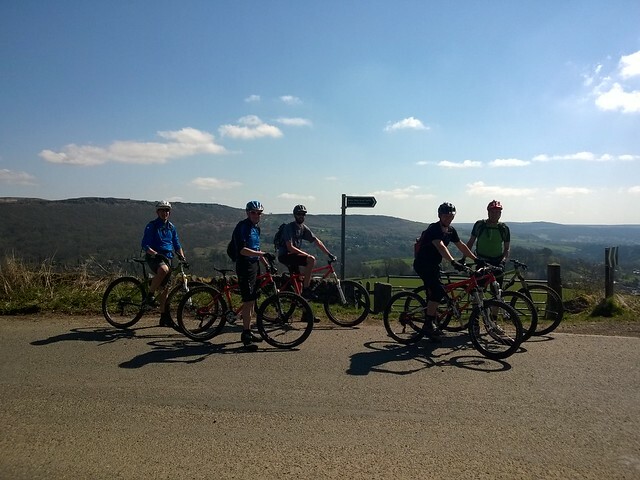 The new demo loop proved a big hit, and we had three groups riding during the day on various Soul275 and Solaris bikes, all loving it and plenty of them placing orders. Thanks for coming all who came, and especially big sloppy kisses to those who ordered bikes!! Want a piece of this? Of course you do!! Get involved on May 16th or June 6th. Email demo@cotic.co.uk to book on. Due to the new loop being a touch shorter than the old one, we're re-jigging the timing a little, so there are rides at 10am, 11.30am, 1pm and 2.30pm on the next two demos. If you can't make it to those and are South Coast bound this weekend, Quest Adventure in Worthing have a demo on and we're sending them a small and medium Soul275, and a medium and large Solaris for people to have a shot on. Give them a call on 01903 573700 to book on.